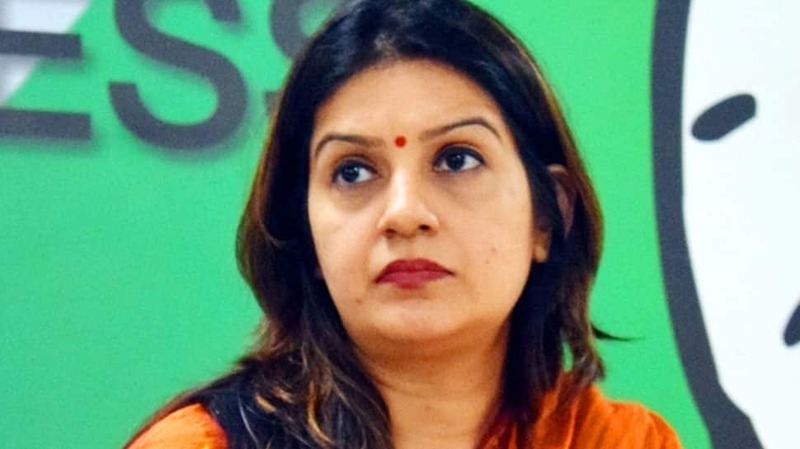 New Delhi: Congress spokesperson Priyanka Chaturvedi on Wednesday expressed disappointment on Twitter over the party’s decision to revoke the suspension of the Congress’ workers who misbehaved with her. “Deeply saddened that lumpen goons get preference in Indian National Congress over those who have given their sweat and blood. Having faced brickbats and abuse across board for the party but yet those who threatened me within the party getting away with not even a rap on their knuckles is unfortunate,” read Priyanka’s tweet, along with which she also shared the Congress’ statement of reinstating the suspension of the workers. The incident happened in Mathura when Priyanka was addressing a press conference related to Rafale deal. As per the letter, the Uttar Pradesh Congress Committee (UPCC) had suspended some of its workers for their unruly behaviour with Priyanka, however, the orders were revoked after an intervention by Congress General Secretary for Uttar Pradesh West Jyotiraditya Scindia. It is to be noted that Mathura Lok Sabha constituency falls in Western UP. “We expect that you would not do any such act in the future to tarnish the image of the party,” the letter told Congress workers.